We thank you for making a donation. With your support we can continue to fund projects such as providing new and upgraded public hospital services and equipment named in honour of the police who had died whilst servicing our community. All donations over $2 are tax deductible. There are many ways you can make a donation. 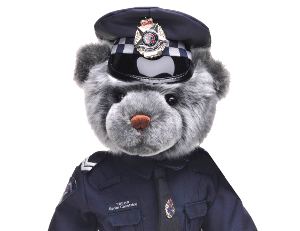 Mail Donation : Please post your cheque to Victoria Police Blue Ribbon Foundation, PO Box 2012 Moorabbin VIC 3189. Please include your name, email and address, we will send you a tax deductible receipt by return mail or email. Donate by phone: Telephone us on 03 9555 8000 and one of our team will take your donation over the phone and arrange for a receipt to be mailed. EFT Donation : Victoria Police Blue Ribbon Foundation Commonwealth BSB 063 010 Acc 10607294. Please use your name as a reference in your transfer. Please email accounts@remember.org.au with the details for the tax deductible receipt.